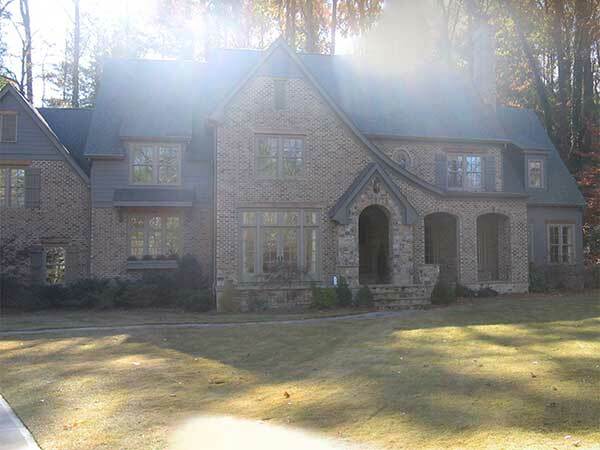 Company: Ed Castro Landscape, Roswell, Ga. 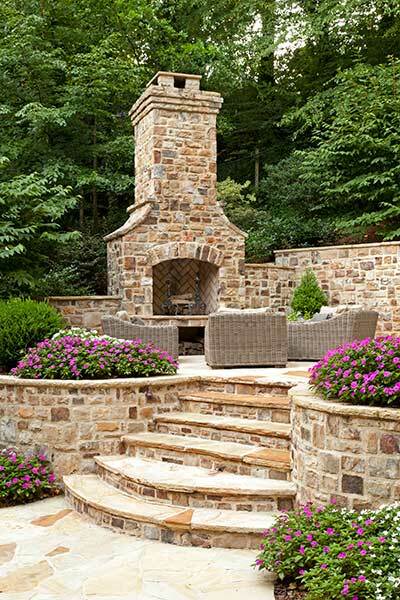 The clients wanted a large space for recreation and entertainment, including an outdoor fireplace where they could gather as a family. 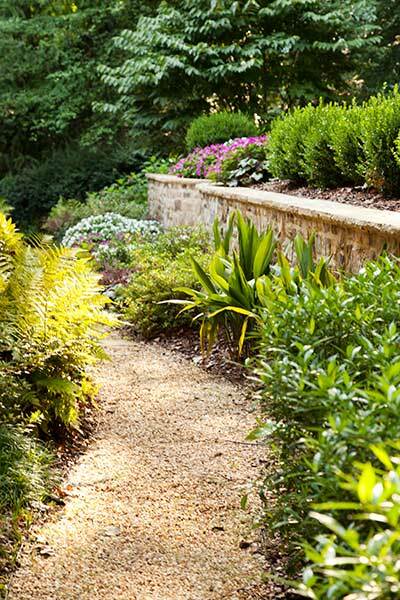 The steep hillside was causing drainage problems and limiting their ability to use the space. Erosion and runoff prevention required the contractor’s diligent attention throughout the project. The slope limited the access to the rear yard to a narrow corridor around the end of the home opposite of the driveway. 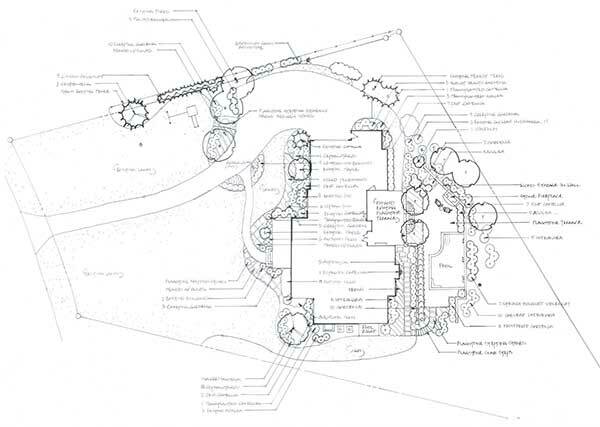 Ed Castro Landscape’s plan called for a bold solution—cutting out the steep hillside to create terraced entertainment spaces, a pool and additional gathering spaces above the patio. The shape of the hillside around the new pool terrace creates an amphitheater effect which, when coupled with the sound of running water from the pool scuppers, produces a serene environment. 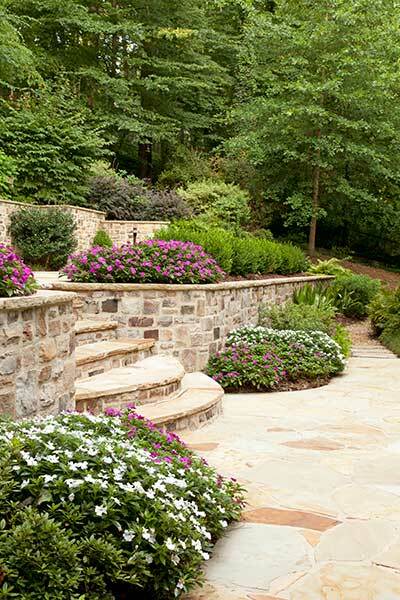 The project earned Ed Castro Landscape a 2016 Grand Award from the National Association of Landscape Professionals’ Awards of Excellence program. 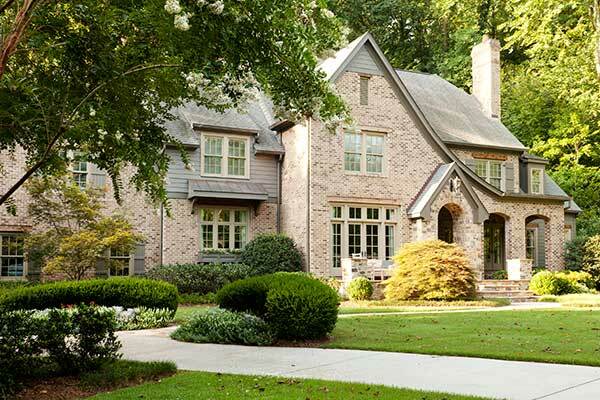 As seen in this “before” shot, the home previously suffered from undersized plantings and a lack of depth. The front of the home is now complimented by thoughtfully placed, appropriately scaled plant material. The front porch is now welcoming and comfortable. 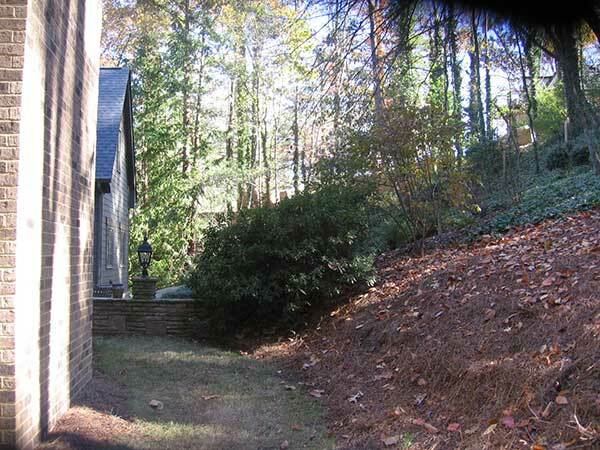 As seen in this “before” shot, the steep hillside behind the house limited the usable space. 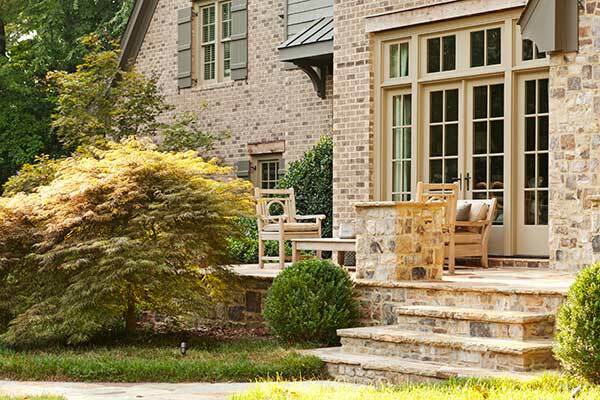 The project drastically increased the usable space behind the home, with a new pool terrace, fireplace, and seating areas. A gravel path leads visitors from the front yard, around the home to the new pool terrace. The pool terrace features a variety of seating options and lush plantings. 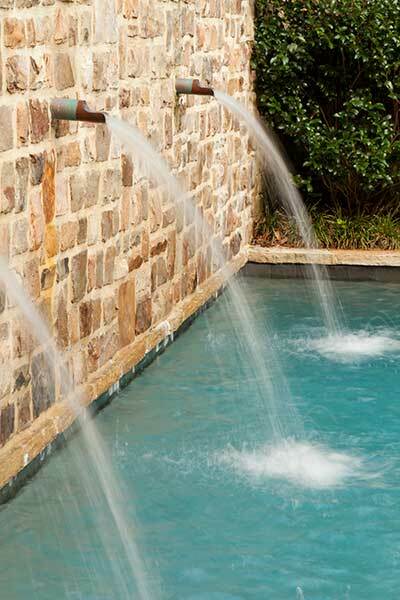 The scupper water feature provides an interesting element to the back wall of the pool, and enlivens the space with sound. The fireplace helps to frame the space. 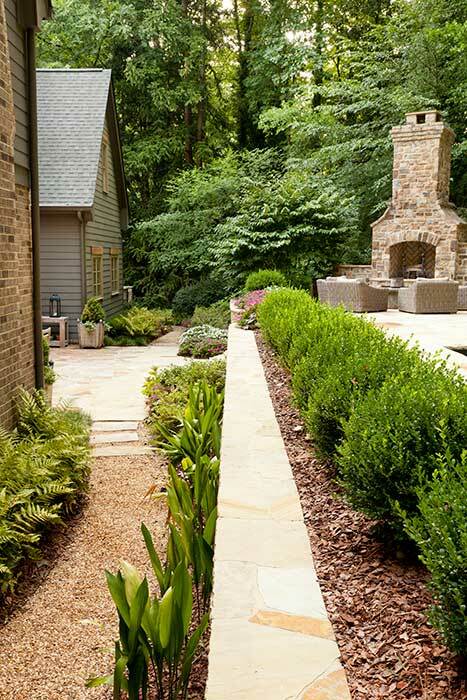 The lower terrace adjacent to the home existed before this project, but was repaved and enlarged. The new terraces are tucked into the hillside and softened by ample plant material.